Hope you had a great weekend. I wanted to share some great smudge brushes with you! I love using these small, precise (but not too precise) brushes to get a soft or smokey liner look. While they're all rather small, they won't give you the precision of an angled liner brush. 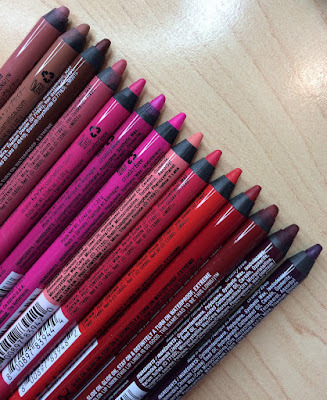 Most often I use them to smudge a deep-colored shadow on the lower lashline (I love how this technique makes the eyes look defined, but not overdone) but they could also be used for soft liner all around the eye, or to smudge out a creamy liner. The Sigma E21 is what I've been using the most lately. It's the most stiff out of all of the brushes, and while it gives me a smudgy line, it's great about picking up a lot of color as well. The bristles never loose their tight shape, even after multiple cleanings. The Real Techniques Accent Brush is very similar in similar in size to the Sigma E21, but the bristles aren't as tightly or densely packed, resulting in a softer line. The synthetic taklon bristles are extremely soft, as with all brushes from this brand. 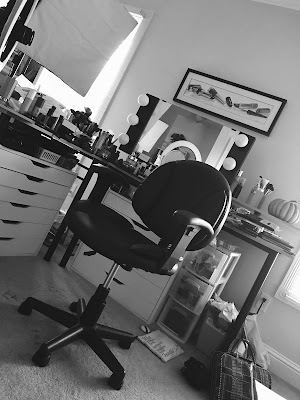 The Sonia Kashuk Smudge brush gives a similar amount of intensity to the Sigma E21, but not quite as clean of a line. This is partially because the bristles on this brush started to fray slightly from their original shape, but I still don't see it as problematic, and if I continue to use my Brush Guards in the cleaning process, it should help the brush keep its shape. The Sigma E30 pencil brush gives the most diffused line of all. Sometimes if I want a nice amount of depth right at the base of the lashes, I'll first use an angled brush, and then soften the line with this pencil brush. Used alone, this brush gives the eyes wonderfully soft liner. This is another brush that can start to fray out a bit, but after its next cleaning with the Brush Guard, it should get back to its original shape. Thanks to my new Wallflowers, my bedroom smells like pear and the attached bathroom smells like peaches. It's a fruit salad up in here!! Was told to check out an app called "Tiny Tower". My life will never be the same! 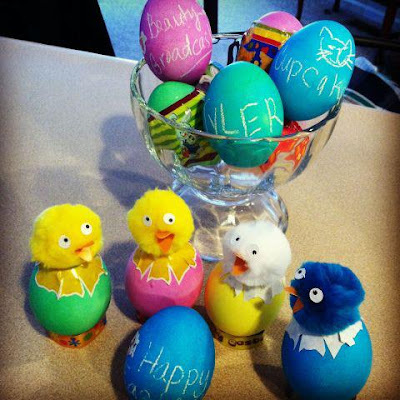 In case you missed my tweet or facebook post, here are our Easter eggs! Looks like I'll be making some of my self-proclaimed "award winning" egg salad soon! Super info on the brushes and very timely for me as I don't feel like I have a great smudgy liner brush and I find myself using powder shadow on my lower lash line more and more... the Sonya Kashuk looks like a great buy for me! Great post! I love the Sigma brush for smudging! I like the little Urban Decay smudger brush. I forgot what it is called but it is the little pencil shaped ( but shorter) brush they sell to smudge out the 24/7 pencils. I LOVE this! Choosing the best brush for the make up is a very important things. Lots of people are not shows much more interest in that thing. But your suggestion is really useful to several people.